The Best Marvel Movies Thus Far! Here soon, at our wonderful Theater Edwards Regal, in Idaho Falls, Idaho, we will get Thor Ragnorak. 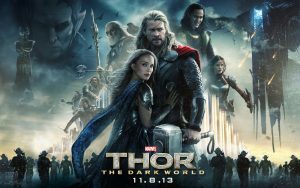 This is the third installment of the Thor franchise and the 17th film in the Marvel Cinematic Universe, thus far. With many more to come. This is also, not counting the Marvel TV shows and Marvel Netflix originals that they have come out with. 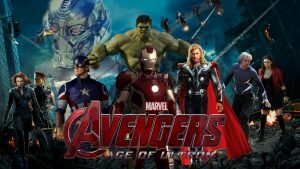 Here at the Group Real Estate we love to talk about movies and talk about comic book movies. So I though it fun to talk about some of our favorites and do my own ranking list, and why. 16. Thor 2: The Dark World. This movie was so dumb. They tried to throw in too much comedy, which was poorly written and poorly timed. The only good thing about this entire movie, was seeing Tom Hiddleston return as Loki. 15. 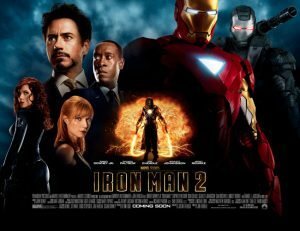 Iron Man 2. Though I will admit that the race car track fight scene, albeit too short, was really amazing, that is all I can say. Oh and it was the prettiest that ScarJo looked as Black Widow, but that was about it. Nice transition from Terrence Howard to Don Cheadle to play James Rhodes, but the villain was silly, the outcome was the same as part one, and it was all too silly, dumb, and a retread. 14. 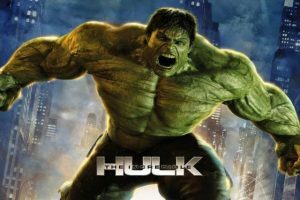 The Incredible Hulk. I think the only reason that this isn’t higher on the list.. meaning numbers wise, is that it’s really the reason we have Hulk in the MCU and that we eventually get Mark Ruffalo, as Hulk, later on. And Edward Norton in this one, isn’t all that bad. The movie, itself, isn’t all that bad. But compared to others, it truly fall short. 13. Avengers: Age of Ultron. Upon multiple watches now, I find myself watching this, and liking it, more and more, but it is definitely very flawed. One of the main flaws that it had was Whedon trying to do too many one liners and jokes through the movie. There are far too many, and the sad part, is that they come at the most ill timed moments from Captain America. A character who is not, at all, known for being this type of quip. However, I do find myself liking the Hawkeye character more and more each watch, and love the addition of Scarlet Witch, though the Quicksilver is silly and no used well at all. Mostly due to the fact that a much better version of him was introduced in the X-Men film that year. James Spader as Ultron is wonderful, although under used, yet again (this is a major issue in the MCU for their villains), but the best part of all of this one, and coming from this one, is the character of Vision. 12. 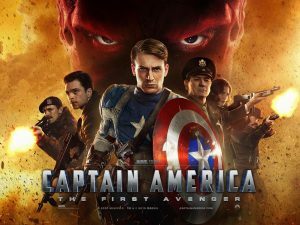 Captain America: The First Avenger. I actually really liked this movie. A lot. It had a great Indiana Jones feel, a great villain, who the same as most, is under used. There is some great, but silly progression, but by the end of it all, it is very much a set up. Though it is a great set up. This is where the movies truly start to be ones that I love from here on out. And I have a hard time ranking them, from here to the top few. 11. Ant-Man. Though I truly love Ant-Man. It still doesn’t resonate with me the way a lot of the top ones do. This is a strange movie, in a great way. 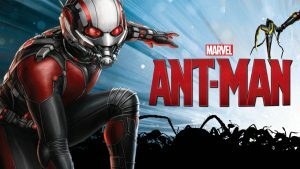 The characters are wonderful and the casting of Paul Rudd as Scott Lang is amazing. Some of the best casting in all the MCU. More on that later. As I look at this one, though, it still isn’t one that I watch a lot of, even though it is far superior than the ones before this. 10. 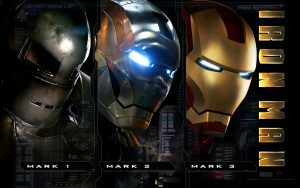 Iron Man 3. When this first came out. I loved it. And I still do like it. A lot. But the stuff that has come out since, is far better. I loved the twist bad guy, that mainstream audiences, and true nerds, hated. The writing was some of the best in the MCU, with Shane Black bringing his quirky style to the MCU. The third act loses me a bit, but all in all, I love this one. 9. 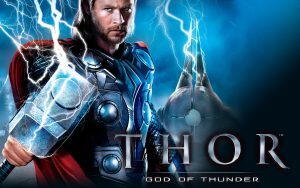 Thor. Now, I love Thor. More than most, actually. I love to re-watch it. And I love knowing that it gave us the greatest MCU viallain so far, in Loki. When I first saw this, I truly believed that Tom Hiddleston was going to get an Oscar Nod. He is spectacular in this. The humanizing of Thor is a cool element, but mostly to true nerds who love this idea and love the comic books. All in all, its a blast to watch and I love the character work, the subtle comedy and the great action scenes. 8. Doctor Strange. This one is one that shares an easy top ten for me in the Marvel MCU movies. This one was a huge surprise and reeling of the heels of an amazing comic book run, I loved this one. The style, the writing and the very odd magic feel were perfect. Benedict Cumberbatch as Stephen Strange was something of a wonder and some of the best casting they have done. The look, the over all feel, and even the strange as heck ending were so perfect in this one. One of the best they have done. 7. Guardians of the Galaxy. This is one of my favorites in the MCU. This is where it gets truly tough for me to pick a favorite or pick what is the best, what started the MCU, why is it important, etc. The family feel that this one has, and teaches, is better than any of the other MCU films out there. It is truly what we needed in a time of making things a bit different. The emotional resonance that comes from this movie is unbelievable and the casting of fat Andy Dwyer from Parks and Rec as Star-Lord was so perfect! 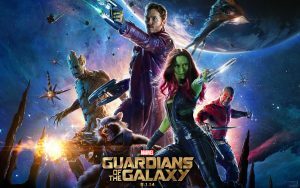 This space feel, Star Wars feeling, lovely comedy/action is one of the more perfect MCU films. 6. 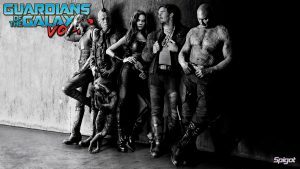 Guardians of the Galaxy Volume 2. I put this one right next to its predecessor only thinking it to be just a smidge better. This is due to great comedy and a wonderfully, emotionally resonant ending than I have ever seen. And the family feel is amped up even more in this one. This one is one that truly showed us that it was okay to still be silly and strange, but really hold it’s place in the MCU. 5. Captain America: Civil War. This is where it gets really tough. This is pretty much MCU and comic book movie masterwork right here. Taking a story that wasn’t all that great, but very popular, in the comic book world, it truly was a spectacle to behold. 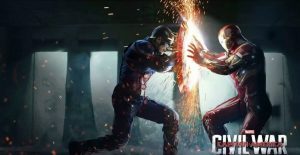 If there is one thing that does falter is it is the true bad guy in this one, that isn’t fully realized, but we don’t really care as the final showdown between Captain America and Iron Man is an amazing feat for the movies and is almost too difficult to watch. Unbelievable how great this movie is. Plus it introduced us to the MCU version of Peter Parker/Spider-Man. 4. Spider-Man: Homecoming. A film that gave us a great, and never under utilized, villain again. The Vulture, played magnificently by Michael Keaton, was a villain that we almost felt bad for. The way he was doing things, why he was doing them. Now, speaking of perfect casting, this is it. Right here. Tom Holland as Peter Parker was a revelation by the MCU heads. 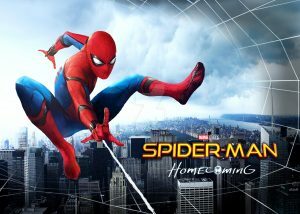 This one is finally what all true Spidey fans wanted from a true comic book pages to screen take on the character. 3. 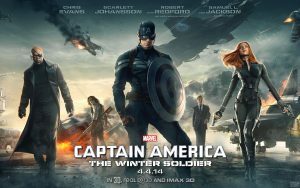 Captain America: Winder Soldier. This is the Cap movie that made Captain America who he needed to be. The first one in all of the series’ to take itself very seriously, not have too many jokes, and was a very amazing political thriller. 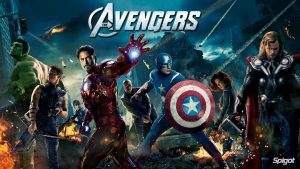 The action scenes in this one are the best in any, and all, of the MCU films as well. A very hard hitting and emotionally resonate film, this is one that goes down in the histories of being one of the greatest MCU films of all time. Oh, and Chris Evans as Captain America is the perfect piece of casting ever conceived in this one. The way he plays the stoic hero in this one is unbelievable. 2. Iron Man. The reason that this goes here at the very top, is without Iron Man, there is no MCU. Plus, this was purely Robert Downey Jr coming back to the amazing wails of acting and being such a wonderful moment in comic book movies. Coming out the same year as the Dark Knight, a film many deem to be the best comic book movie of all time (I disagree), this was a comic book movie, that was much more comic book-y that held its ground against the Dark Knight that year. 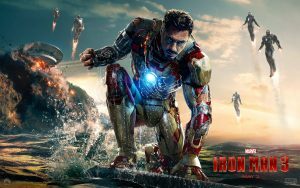 It was a wonderful treat when it came to comic book movies, and it made so many people care about Iron Man. The pure performance that Downey Jr gives as Tony Stark is one of the greatest performances in all of comic book movies. 1. Marvel’s The Avengers. No one though this was going to be possible. There was a small stinger at the end of Iron Man that made us believe that it would happen, but when it did happen, we never thought it would happen like this. The realization of bringing Loki in as the bad guy, knowing that he was the best villain thus far (and still is) was so smart. The idea of bringing them all together worked extremely well and Whedon brought a camera work like none other to this franchise. The big action scenes were wonderful and they let us have some fun, as well. Seeing all of them interact together, mostly not getting along together, and having one heckuva ending with Iron Man’s sacrifice, was what made for the most perfect Marvel experience, and film, to date. 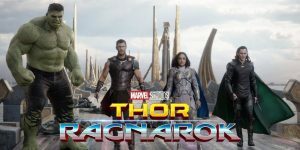 I look forward to Thor Ragnorak so much and will let you know my thoughts on that one as I go see it. What are your thoughts on these lists, these films and what are some of your favorite comic book movies within the MCU?